Australia, Bangladesh, England and New Zealand will slog it out in Group A of the 2017 ICC Champions Trophy. Here’s everything you need to know. By ANTOINETTE MULLER. The Champions Trophy is a phoenix of sorts. The last time it was, back in 2013 – also in England – it was supposed to be the tournament’s swansong. But uncertainty over the Test Championship which was eventually scrapped meant the International Cricket Council (ICC) revived the jamboree, and here we are again. Despite one-day cricket suffering a bit of an identity crisis, the relatively short and sharp format of the tournament means interest in it remains relatively constant. That it is played by the best one-day teams in the world means far fewer lopsided contests and with the qualification process introduced in 2009 it offers something that is far too often lacking in international cricket: context. As a result, for the first time since the tournament’s inception, the West Indies will not be there. Bangladesh take their place, returning to the competition for the first time since their debut appearance back in 2006. As the cliché goes, the format means there is no room for error. Or rain, for that matter. The latter obstacle isn’t exactly ideal considering the location of the tournament, but it simply means that teams need to be so much more focused on churning out results. The good news is that of the hundreds of one-day matches played in England since the 1970s, less than 10% have been no results. The bad news is that, as we saw during the final in 2013, it sometimes means a final is reduced to a 20-over-a-side shootout… to decide the winner of a 50-over competition. Who is in Group A? Australia, Bangladesh, England and New Zealand. Bangladesh could be a thorn in the side of a few teams yet. Since 2015, they have a better win-loss ratio in the one-day format than Pakistan, India and Sri Lanka. Their slower bowlers are cunning and unfamiliar to many of their competitors since they so rarely play each other. Bangladesh’s batting is slightly dubious – a problem in the modern-day era where scoring over 350 is no longer considered unusual – and could very well be the thing that stands between them and progressing to the final. New Zealand and Australia have two batsmen each in the top five run-scorers since 2015. Martin Guptill (2461 runs), Kane Williamson (2316 runs) as well as David Warner (2407 runs and Steve Smith (2180 runs) have made hay and will benefit from what is likely to be a high-scoring tournament. However, New Zealand’s Trent Boult will be a feast for sore eyes and those who prefer bowling skill over batting clobbering. When the Black Caps toured the country in 2015, he took four for 55 and two for 53 in matches where England amassed 408 and 365 respectively. Australia were knocked out in the group stage back in 2013, but have won the title twice – in 2006 and 2009. They also have an impressive World Cup record, but the side has been marred by an ugly pay dispute which could hinder their preparation. 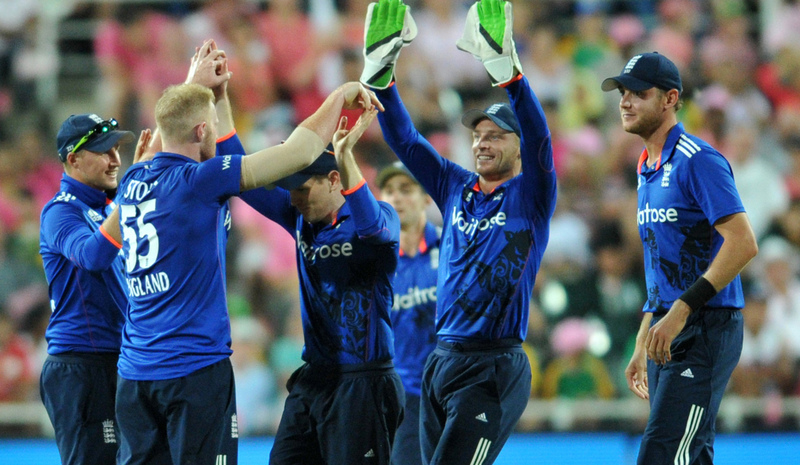 As hosts, England are favourites and have been playing some excellent cricket recently. We’re going with a wildcard prediction: New Zealand to progress alongside the hosts. “It is such an interesting tournament because it is such a short tournament. There is not much time for slip-ups or conservative cricket.” – New Zealand captain Kane Williamson on what to expect.